Welcome to the six hundred and eighteenth of my blog interviews with novelists, poets, short story authors, biographers, agents, publishers and more. Today’s is with non-fiction author Mark Spivak. A list of interviewees (blogged and scheduled) can be found here. If you like what you read, please do go and investigate further. Mark: I specialize in wine, spirits, food, restaurants and culinary travel. I started writing in early childhood; I’ve had a number of different careers in my life, but have always come back to writing. Morgen: Me too except I only discovered creative writing eight years ago then I strove towards giving up my day job (achieved last March) ever since. I’ve described you in the introduction as a ‘non-fiction author’, please tell us more and what you’ve published. Mark: Primarily, I focus on non-fiction that appears in newspapers, magazines and on the Internet. My first book, Iconic Spirits: An Intoxicating History, was published in November by Lyons Press, an imprint of Globe Pequot. Morgen: Can you remember where you saw your first book on the shelves? Mark: I first saw the book on a shelf in Palm Beach, and it was an emotional experience. It’s an interesting moment when you realize the book actually has an existence independent of yourself. Morgen: Isn’t it great. My solo projects are all just eBooks but I do have a story in an anthology (of which I have five copies) so it’s great seeing my name on the page, if not on the spine. How much of the marketing do you do for your published works or indeed for yourself as a ‘brand’? Mark: I’m doing most of the marketing and promotion this time around, which I gather isn’t unusual. Due to budget and personnel cutbacks, publishing houses don’t focus on individual books the way they used to. Morgen: They don’t, unfortunately. Out of all the interviews I’ve hosted I’ve only had one author say that their (mainstream) publisher does their marketing, and she’s active on Twitter and Facebook (and I’m sure she does much more). It is just part of our ‘job’ these days. Do you have an agent? Do you think they’re vital to an author’s success? Mark: Yes, my agent is Kate Epstein, based near Washington, D.C. She’s fabulous. Agents are more important now than ever before, since many publishers aren’t even accepting unsolicited manuscripts. Morgen: Other than smaller presses, they tend not too. I’ve had mixed reports of authors’ experiences with agents, but on the whole those who have one are pleased they have. Is your book available as an eBook? Were you involved at all? And do you read eBooks? Mark: Amazon is now selling Iconic Spirits in a Kindle edition, but I wasn’t involved in the process. I don’t read ebooks, because I’m not very good with gadgets—I tend to drop them and break them. Morgen: Oh dear. That can get expensive. What was your first acceptance and is being accepted still a thrill? Mark: I can’t remember the first one, but the most significant one was when my first piece was accepted by National Geographic Traveler. That was the point when I realized that people could criticize me, but they couldn’t say I wasn’t a writer. And yes, it’s always a thrill. Morgen: Absolutely, and an author. Have you had any rejections? If so, how do you deal with them? Mark: I get rejected constantly, as most writers do, and I deal with it as I suspect many others do—with a combination of anger and depression. The key thing is how quickly you bounce back and get back to work. I don’t think writers should whine about rejection. It comes with the territory, and it’s something you have to deal with. Morgen: It is. I like to think that it’s just finding the right person for the right thing. What are you working on at the moment / next? Mark: I continue to write about wine, spirits, food and restaurants, freelance for a number of publications, maintain several blogs, and formulate ideas for my next book project. Mark: Writer’s block is fear of failure, something you have to find a way to deal with if you want to achieve any success at all. Obviously, we all have days when we don’t feel like working, and every so often it’s normal to spend large chunks of time playing video games. If you find yourself blocked from working over a long period, perhaps you’re not at a point in your life when you’re ready to be a writer. Ask yourself if you would be better off in some dead-end job, taking orders from an idiot. Morgen: Fortunately I’ve never been in any dead-end jobs (I spent many years temping so was never in one place long enough), and have had few ‘idiots’ to take orders from, but there’s nothing I’d rather be than a writer. I have had one author contact me to pull his contributions because he’s no longer a writer, which is a shame but the passion has to be there. A question some authors dread: where do you get your inspiration from? Mark: Don’t know where it comes from, but I’m absolutely delighted to be doing what I’m doing. I literally can’t wait to get up and start working—I frequently wake up in the middle of the night, start thinking about projects, and end up at the computer. Morgen: I have done that, and my Mac is available 24/7, but I tend to go to bed too late and get up too early that if I think of something I dictate it into my BlackBerry phone. You’ve said that you focus on non-fiction that appears in newspapers, magazines and on the Internet, what do you decide to write about? Mark: In my case, I have a specialized niche that I’ve developed over time. When that happens, the challenge is not to get stuck in one subject or subjects to the exclusion of all others. It’s similar to the process of typecasting an actor. The more you become identified as an “expert”, the harder it is to break out and do something else that interests you. Morgen: Other than writing about the craft of writing, I only write fiction and have written a variety of genres so I’m fortunate, but I know authors who have written a number of projects in one genre then found it hard to break out because their readership knows them for that type of writing. It’s why some authors come up with (second) pseudonyms, but then they have to market themselves twice. Are you involved in anything else writing-related other than actual writing or marketing of your writing? Mark: I consult for country clubs and private clubs here in South Florida, working with them on their beverage programs. Mark: My wife—she’s a very good barometer of what a mainstream reader would think. Morgen: What a great asset. Do you do a lot of editing or do you find that as time goes on your writing is more fully-formed? Mark: Nowadays the editing is more picayune and less structural. The story tends to come out in more or less the right form, but there are always small matters of style, grammar, etc. that need to be fixed. Morgen: There’s always something. Invariably we’re too close to our writing to find things that fresh eyes find. How much research do you have to do for your writing? Have you ever received feedback from your readers? Mark: In many cases I’m doing pieces based on actual visits to wineries, distilleries and restaurants; if I haven’t visited the place, I have to rely on Internet research. Either way, it’s important to remember that about half of what you’re being told isn’t true. Your depth of experience in the subject will hopefully enable you to distinguish the facts from the boasts. As far as feedback goes, I’ve received many kind words about my book, Iconic Spirits: An Intoxicating History, which is gratifying. Morgen: Isn’t that great. I love getting emails from readers. Although emails are so easy to send these days, it just goes to show that something in what you’ve written made them feel strongly enough to make the effort. What is your creative process like? What happens before sitting down to write? Mark: I think the creative process is ongoing and continuous, or should be. I’m always thinking / dreaming / fantasizing about what I’m working on, or about things that I might want to work on. The time spent putting down the actual words is really just part of the process. Mark: Except for those moments when it develops a mind of its own, the computer is preferable. Morgen: Likewise, although I edit better on paper. What’s your favourite / least favourite aspect of your writing life? Mark: My least favourite aspect is rejection, which I spoke about earlier. The most frustrating part of the situation is having to constantly deal with people who are more narrow-minded and less imaginative than you are (could I be speaking of editors?). Everything else is wonderful. Morgen: Isn’t it. If anything, what has been your biggest surprise about writing? Mark: It’s a job, and in order to succeed you’ll work much harder than you ever thought you would. Morgen: Absolutely. I’ve had to cut back on the interviews ongoing as they leave me no time for my own writing and I have five novels (and various short story collections) in files vying for my attention. The ping of emails get me every time. What advice would you give aspiring writers? Mark: Cooking and drinking Bourbon, preferably at the same time. Morgen: There’s a saying, “I love cooking with wine, sometimes I even put it in the food”. I don’t like wine (I probably shouldn’t say that to a wine writer, my brother makes up for it though) so I don’t cook with it but I know plenty who do. In which country are you based and do you find this a help or hindrance with letting people know about your work? Mark: I live in the U.S., on the southeast coast of Florida. While obviously large, the U.S. market is more isolated than many people think it is. I frequently think about how to expand my reach, but really have my hands full right here. Morgen: Lack of time is the biggest obstacle a writer has; they’re either battling with a full-time job or marketing which has become a full-time job. We have to find a balance (pot, kettle, black). Are you on any forums or networking sites? If so, how valuable do you find them? Mark: I have a strong Facebook presence, which I find very useful since people are increasingly using it as a substitute for human interaction. I’m also on LinkedIn, which hasn’t had any value thus far. Morgen: LinkedIn’s great if you want to know something. I belong to over a dozen writing groups and there are always plenty of people willing to answer queries or give guidance. I love Facebook, and even more so since I’ve set up four new online writing groups, each with its own Facebook group. Where can we find out about you and your work? Mark: The website for the book is www.iconicspirits.net, which contains in-depth information and a link to Amazon. If you go on the site you can also sign up for my weekly newsletter, the Iconic Spirits Blog. Mark: I probably would have had less fun and wasted less time, which would have made me less interesting as a writer. Good thing I can’t do it over. Morgen: It’s funny… children often say how bored they are, adults rarely have the time to be. Thank you, Mark. 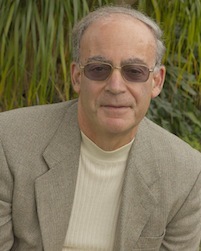 Mark Spivak is the author of Iconic Spirits: An Intoxicating History, published by Lyons Press (an imprint of Globe Pequot). In the book, he examines 12 spirits that changed the world and created the cocktail culture, and tells their compelling, untold stories.